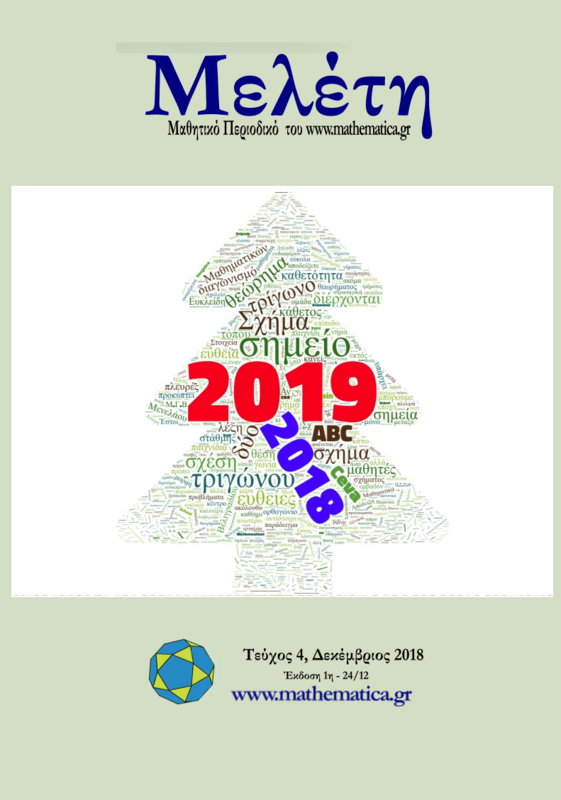 τα περισσότερα από αυτά είναι σε προχωρημένο επίπεδο. 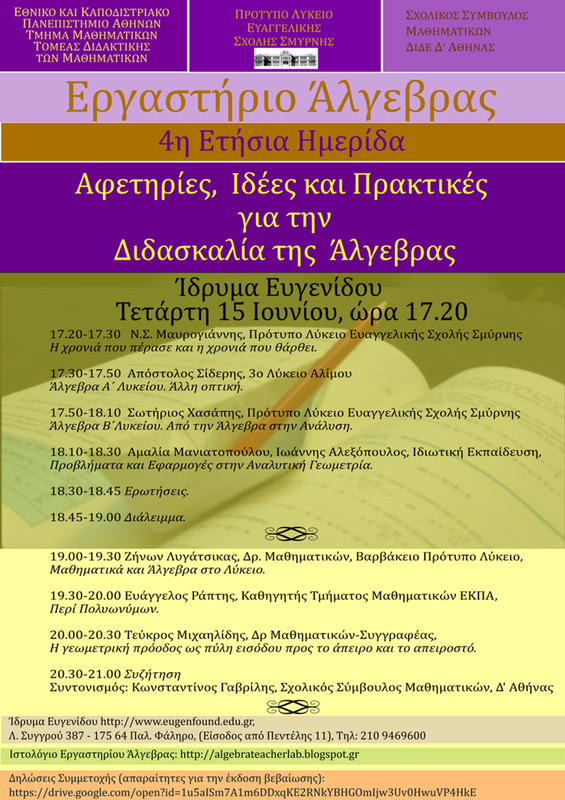 Για όσους τώρα ξεκινούν μπορούν για αρχή να κοιτάξουν την υπάρχουσα Ελληνική βιβλιογραφία. D. Djukic, V. Jankovic, I. Matic, N. Petrovic : The IMO Compendium 1959-2009, Springer, 2011. 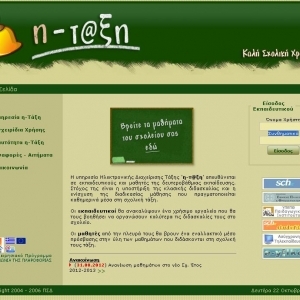 M. Becheanu : International Mathematical Olympiads 1959-2000. Problems. Solutions. Results, Academic Distribution Center, Freeland, USA, 2001. 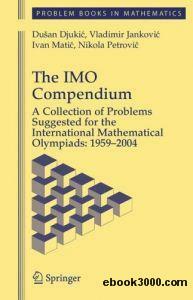 I. Reiman, J. Pataki, A. Stipsitz : International Mathematical Olympiad: 1959--1999 , Anthem Press, London, 2002. I. Cuculescu : International Mathematical Olympiads for Students (in Romanian), Editura Tehnica, Bucharest, 1984. A.A. Fomin, G.M. Kuznetsova : International Mathematical Olympiads (in Russian), Drofa, Moscow, 1998. M. Aassila : 300 Defis Mathematiques (in French), Ellipses, Paris, 2001. M.S. Klamkin : International Mathematical Olympiads 1979--1986, MAA, Washington, D.C., 1988. S.L. Greitzer : International Mathematical Olympiads 1959-1977, MAA, Washington, D.C., 1978. V. Jankovic, V. Micic : IX and XIX International Mathematical Olympiads, MS of Serbia, Belgrade, 1997. M.S. Klamkin : International Mathematical Olympiads 1979--1985 and Forty Supplementary Problems , MAA, Washington, D.C., 1986. E.A. Morozova, I.S. Petrakov, V.A. Skvortsov : International Mathematical Olympiads (in Russian), Prosveshchenie, Moscow, 1976. M. Asic et al. : International Mathematical Olympiads (in Serbian) , MS of Serbia, Belgrade, 1986. V. Jankovic, Z. Kadelburg, P. Mladenovic : International and Balkan Mathematical Olympiads 1984--1995 (in Serbian), MS of Serbia, Belgrade, 1996. T. Andreescu, K. Kedlaya, P. Zeitz : Mathematical Olympiads 1995-1996, Problems and Solutions from Around the World, AMC, 1997. T. Andreescu, Z. Feng : Mathematical Olympiads 2000-2001, Problems and Solutions from Around the World, MAA, 2003. A. Gardiner : The Mathematical Olympiad Handbook, Oxford, 1997. A. Liu : Hungarian Problem Book III, MAA, 2001. A.M. Slinko : USSR Mathematical Olympiads 1989--1992, AMT, Canberra, 1997. A. Liu : Chinese Mathematical Competitions and Olympiads 1981-1993, AMT, Canberra, 1998. I. Tomescu et al. : Balkan Mathematical Olympiads 1984-1994 (in Romanian), GIL Publishing House, Zalau, 1996. K.S. Kedlaya, B. Poonen, R. Vakil : The William Lowell Putnam Mathematical Competition 1985-2000 Problems, Solutions and Commentary, MAA, 2002. D. Fomin, A. Kirichenko : Leningrad Mathematical Olympiads 1987-1991, MathPro Press, 1994. M.E. Kuczma : 144 Problems of the Austrian-Polish Mathematics Competition 1978--1993, The Academic Distribution Center, Freeland, Maryland, 1994. T. Andreescu, Z. Feng : Mathematical Olympiads 1999-2000, Problems and Solutions from Around the World, MAA, 2002. Lausch, Bosch Giral : Asian Pacific Mathematics Olympiads 1989--2000, AMT, Canberra, 1994. Kurshak, Hajos, Neukomm, Suranyi : Hungarian Problem Book II, MAA, 1967. Kurshak, Hajos, Neukomm, Suranyi : Hungarian Problem Book I, MAA, 1967. M.S. Klamkin : USA Mathematical Olympiads 1972--1986, MAA, Washington, D.C., 1988. 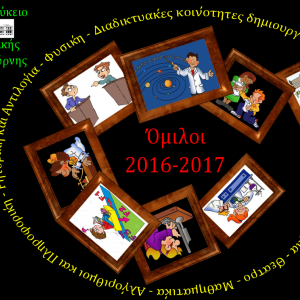 T. Andreescu, K. Kedlaya : Mathematical Olympiads 1997-1998, Problems and Solutions from Around the World, AMC, 1999. T. Andreescu, Z. Feng : Mathematical Olympiads 1998-1999, Problems and Solutions from Around the World, MAA, 2000. Lausch, Taylor : Australian Mathematical Olympiads 1979--1995, AMT, Canberra, 1997. Peter J. Taylor : International Mathematics Tournament of the Towns, Book 1: 1980-1984, AMT Publishing, 1993. T. Andreescu, K. Kedlaya : Mathematical Olympiads 1996-1997, Problems and Solutions from Around the World, AMC, 1998. Peter J. Taylor : International Mathematics Tournament of the Towns, Book 3: 1989-1993, AMT Publishing, 1994. Andrei M. Storozhev : International Mathematics Tournament of the Towns, Book 5: 1997-2002, AMT Publishing, 2006. Peter J. Taylor : International Mathematics Tournament of the Towns, Book 2: 1984-1989, AMT Publishing, 2003. L. Hahn : New Mexico Mathematics Contest Problem Book, University of New Mexico Press, 2005. G.L. Alexanderson, L.F. Klosinski, L.C. Larson : The William Lowell Putnam Mathematical Competition, Problems and Solutions: 1965-1984, MAA, 1985. Peter J. Taylor, Andrei M. Storozhev : International Mathematics Tournament of the Towns, Book 4: 1993-1997, AMT Publishing, 1998. A.M. Gleason, R.E. Greenwood, L.M. Kelly : The William Lowell Putnam Mathematical Competition, Problems and Solutions: 1938-1964, MAA, 1980. P. Zeitz : The Art and Craft of Problem Solving, Wiley; International Student edition, 2006. T. Andreescu, D. Andrica : 360 Problems for Mathematical Contests, GIL Publishing House, Zalau, 2003. L. Moisotte : 1850 exercices de mathemathique , Bordas, Paris, 1978. A. Engel : Problem Solving Strategies, Springer-Verlag, 1999. C.R. Pranesachar, S.A. Shailesh, B.J. Venkatachala, C.S. Yogananda : Mathematical Challenges from Olympiads, Interline Publishing Pvt. Ltd., Bangalore, 1995. A.M. Yaglom, I.M. Yaglom : Challenging Mathematical Problems with Elementary Solutions, Dover Publications, 1987. M. Aigner, G.M. Ziegler : Proofs from THE BOOK, Springer-Verlag; 3rd edition, 2003. R. Gelca, T. Andreescu : Putnam and Beyond, Springer 2007. T. Andreescu, B. Enescu : Mathematical Olympiad Treasures, Birkhauser, Boston, 2003. E. Lozansky, C. Rousseau : Winning Solutions, Springer-Verlag, New York, 1996. R.L. Graham, D.E. Knuth, O. Patashnik : Concrete Mathematics, 2nd Edition, Addison-Wesley, 1989. T. Andreescu, R. Gelca : Mathematical Olympiad Challenges, Birkhauser, Boston, 2000. E.J. Barbeau, M.S. Klamkin. W.O.J. Moser : Five Hundred Mathematical Challenges , MAA, 1995. T. Andreescu, G. Dospinescu : Problems from the Book, XYZ Press, 2008. L.C. Larson : Problem Solving Through Problems, Springer-Verlag, 1983. T. Andreescu, V. Cartoaje, G. Dospinescu, M. Lascu : Old and New Inequalities , GIL Publishing House, 2004. E.J. Barbeau : Polynomials , Springer-Verlag, 2003. N.D. Kazarinoff : Geometric Inequalities , MAA, 1975. A.S. Posamentier, C.T. Salkind : Challenging Problems in Algebra, Dover Books in Mathematics, 1996. T. Andreescu, D. Andrica : Complex Numbers from A to ... Z, Birkhauser, Boston, 2005. P.S. Bullen, D.S. Mitrinovic , M. Vasic : Means and Their Inequalities, Springer-Verlag, 1989. M. Arsenovic, V. Dragovic : Functional Equations (in Serbian) , MS of Serbia, Belgrade, 1999. Z. Cvetkovski : Inequalities - Theorems, Techniques and Selected Problems , Springer, 2012. D.S. Mitrinovic, J.E. Pecaric, V. Volenec : Recent Advances in Geometric Inequalities, Kluwer Academic Publishers, 1989. J. Hardy, J.E. Littlewood, G. Polya : Inequalities, Cambridge University Press; 2nd edition, 1998. D.S. Mitrinovic , J. Pecaric, A.M Fink : Classical and New Inequalities in Analysis, Springer-Verlag, 1992. Z. Kadelburg, D. Djukic, M. Lukic, I. Matic : Inequalities (in Serbian), MS of Serbia, Belgrade, 2003. P.S. Modenov : Problems in Geometry, MIR, Moscow, 1981. T. Andreescu, Z. Feng : 103 Trigonometry Problems: From the Training of the USA IMO Team, Birkhauser Boston, 2004. I.M. Yaglom : Geometric Transformations, Vol. II, MAA, 1968. P.S. Modenov, A.S. Parhomenko : Geometric Transformations, Academic Press, New York, 1965. V.V. Prasolov, V.M. Tikhomirov : Geometry, American Mathematical Society, 2001. C.J. Bradley : Challenges in Geometry : for Mathematical Olympians Past and Present, Oxford University Press, 2005. L. Hahn : Complex Numbers and Geometry, New York, 1960. I.M. Yaglom : Geometric Transformations, Vol. III, MAA, 1973. 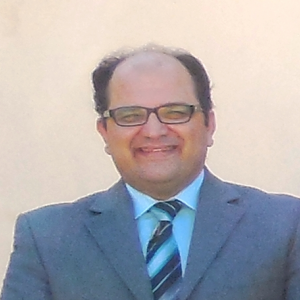 A.S. Posamentier, C.T. Salkind : Challenging Problems in Geometry, Dover Publications, 1996. I.F. Sharygin : Problems in Plane Geometry, Imported Pubn, 1988. T. Andreescu, O. Mushkarov, L. Stoyanov : Geometric Problems on Maxima and Minima, Birkhauser Boston, 2005. M.Th. 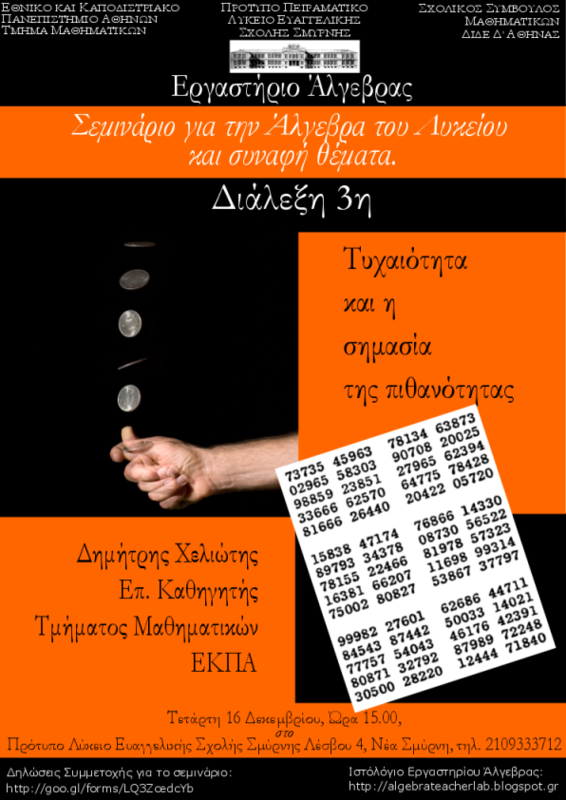 Rassias : Problem-Solving and Selected Topics in Number Theory : In the Spirit of the Mathematical Olympiads Foreword by Preda Mihailescu, Springer, New York, 2011. I. Nagell : Introduction to Number Theory, John Wiley and Sons, Inc., New York, Stockholm, 1951. W. Sierpinski : 250 Problems in Elementary Number Theory, American Elsevier Publishing Company, Inc., New York, PWN, Warsaw, 1970. E.J. Barbeau : Pell?s Equation , Springer-Verlag, 2003. W. Sierpinski : Elementary Theory of Numbers, Polski Academic Nauk, Warsaw, 1964. A. Baker : A Concise Introduction to the Theory of Numbers , Cambridge University Press, Cambridge, 1984. I.M. Vinogradov : The Method of Trigonometrical Sums in the Theory of Numbers, Dover Books in Mathematics, 2004. I.M. Vinogradov : Elements of Number Theory, Dover Publications, 2003. T. Andreescu, D. Andrica : An Introduction to the Diophantine Equations, GIL Publishing House, Zalau, 2002. R.K. Guy : Unsolved Problems in Number Theory, Springer-Verlag, 3rd edition, 2004. L.J. Mordell : Diophantine Equations, Academic Press, London and New York, 1969. J. Tattersall : Elementary Number Theory in Nine Chapters (2nd. ed. ), Cambridge University Press, 2005. I. Niven, H.S. Zuckerman, H.L. Montgomery : An Introduction to the Theory of Numbers , John Wiley and Sons, Inc., 1991. V. Micic, Z. Kadelburg, D. Djukic : Introduction to Number Theory (in Serbian), 4th edition, MS of Serbia, Belgrade, 2004. G.H. Hardy, E.M. Wright : An Introduction to the Theory of Numbers, Oxford University Press; 5th edition, 1980. T. Andreescu, Z. Feng : 102 Combinatorial Problems, Birkhauser Boston, 2002. S. Lando : Lectures on Generating Functions, A.M.S., 2003. I. Tomescu, R.A. Melter : Problems in Combinatorics and Graph Theory, John Wiley and Sons, 1985. C. Chuan-Chong, K. Khee-Meng : Principles and Techiques in Combinatorics, World Scientific Publishing Company, 1992. H.S. Wilf : Generatingfunctionology , Academic Press, Inc.; 3rd edition, 2006. R.Brualdi : Introductory Combinatorics (4th ed. ), Prentice-Hall, 2004. E.L. Berlekamp, J.H. Conway, R.K. Guy : Winning Ways for Your Mathematical Plays (Vol. 1), AK Peters, Ltd., 2nd edition, 2001. D. Stevanovic, M. Milosevic, V. Baltic : Discrete Mathematics: Problem Book in Elementary Combinatorics and Graph Theory (in Serbian), MS of Serbia, Belgrade, 2004. T. Andreescu, Z. Feng : A Path to Combinatorics for Undergraduates: Counting Strategies, Birkhauser Boston, 2003. P. Mladenovic : Combinatorics (in Serbian), 3rd edition, MS of Serbia, Belgrade, 2001. R.P. Stanley : Enumerative Combinatorics, Volumes 1 and 2, Cambridge University Press; New Ed edition, 2001. E.L. Berlekamp, J.H. Conway, R.K. Guy : Winning Ways for Your Mathematical Plays (Vol. 4), AK Peters, Ltd., 2nd edition, 2004. E.L. Berlekamp, J.H. Conway, R.K. Guy : Winning Ways for Your Mathematical Plays (Vol. 3), AK Peters, Ltd., 2nd edition, 2003. J.H. van Lint, R.M. Wilson : A Course in Combinatorics, second edition, Cambridge University Press, 2001. E.L. Berlekamp, J.H. Conway, R.K. Guy : Winning Ways for Your Mathematical Plays (Vol. 2), AK Peters, Ltd., 2nd edition, 2003.